How to securing REST API with Grails 3, Spring Security Core and Spring Security Rest Plugin in quick and easy steps. This tutorial describes how to securing REST API with Grails 3 (latest version 3.2.6), Spring Security Core and Spring Security Rest plugin which very good for mobile apps backend. As usually, we will begin this tutorial from scratch. This application use as a backend for our mobile apps. We will create a resource that accessible only to authenticated user. If non-authenticated user access this resource using REST API it will response "forbidden". We assume that you already installing Java 8 and Grails 3. So we will jump to Grails 3 project creation. For that, just open terminal or cmd then type this command. Go to a newly created project folder. To make sure everything is working smoothly during this tutorial, run Grails 3 interactive console. If everything working fine and you see Grails 3 application homepage in the browser, you can continue to the next step. For now, stop the app first. Now, create a RESTful domain class that will be secured later. There's is a tutorial for creating REST API on this site. Open and edit this generated file with your favorite text editor or IDE. Make this domain like this. Create initial data for this Product domain class. Open and edit "grails-app/init/mysecurerest/Bootstrap.groovy" the add this lines inside init function. Run again this application for testing the Rest API. Open another terminal or command to test the REST API with this command. Open and edit file "build.gradle" at the root of the project. Add this line in dependencies section. Compile the application in Grails 3 interactive console by type this command. Create a user, role, and relation using this command. Before doing that, we should exit from Grails 3 interactive command because this command does not activate yet in the interactive console. Which "s2-quickstart" is a command from Spring Security plugin and this command will generate User, Authority (Role) and UserAuthority domain class. You will see below messages if successfully generate that domain classes. That command also creates configuration files with "groovy" extension in code style of Groovy. Later, in this file will put configuration related to Spring Security. This time to add and configuring Grails 3 Spring Security Rest plugin. Open and edit file "build.gradle" again then add this line inside dependencies section. To make this plugin works and configurable, first compile the application. Next, open and edit "grails-app/conf/application.groovy" to configure Grails Spring Security Rest plugin. First, change "staticRules" to "interceptUrlMap". Add login, logout, and product endpoints and also add "/**". Change "filterChain" with new filters. Add another configuration lines for logout endpoint, token and token storage. At the end configuration file will look like this. Next, add initial user data in "grails-app/init/mysecurerest/Bootstrap.groovy". Don't forget to change import for all domain class. Right now, we will use third party tools for testing REST API. 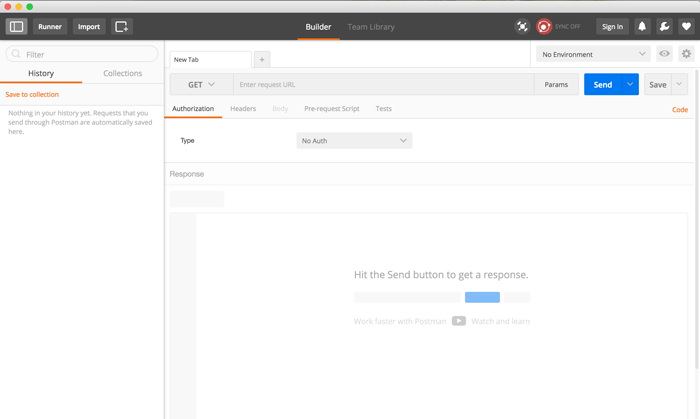 We are using "Postman" the chrome extension for testing our REST API. Open "postman" chrome app/extension. In the main text box enter endpoint URL for getting product data. On the left of text box change to "GET", then click "SEND" button. If the response shows like below, it means product REST API is secured. Next, we have to test login endpoint by entering end login endpoint in the text box, on the left change to "POST". Under the text box click "body" tab and choose "raw" radio button then filled raw data like below. Then click "SEND" button. You should see a response like this if login is successful. Copy the "access_token" from the response. Do the step for getting product data then click Header tab below "textbox". In the key field fill with "X-Auth-Token" and value field paste from "access_token" that previously copied. Now, you will see a response like this. This mean, we are creating secured Grails 3 REST API successfully.